Aerospace Turbine Services & Solutions (TS&S), a leading maintenance, repair and overhaul (MRO) provider for aero engines and industrial gas turbines, has signed an agreement with European carrier TAP Air Portugal for Trent 700 engine repair. Abu Dhabi-based TS&S is wholly owned by Mubadala Investment Company. Announced in Dubai, UAE, at the MRO Middle East, the region’s leading conference and trade show for commercial aircraft maintenance, the agreement pertaining specifically to Trent 700 engines is the first of its kind between the MRO and a European carrier. Repairs of the Trent 700 engine, which power the Airbus A330 aircraft, will be carried out at TS&S’s state-of-the-art facilities at Abu Dhabi International Airport, said a company statement. TAP Air Portugal operates a modern fleet of aircraft which includes 17 Airbus A330 with an average age of 13.2 years. 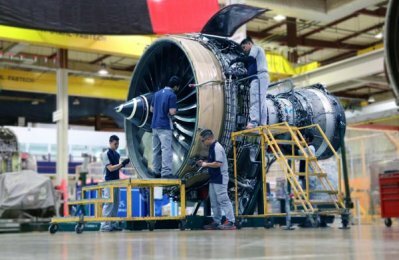 Rolls-Royce recently announced the delivery of its 2000th Trent 700 engine since its introduction in 1995. There are currently 1,710 aircraft globally that are operating Trent 700 engines which is set to grow to 1,738 by 2020. TS&S - currently the world’s only independent Trent 700 MRO facility - works in partnership with major original equipment manufacturers (OEMs) including Rolls-Royce, GE Aviation and International Aero Engines and provides a variety of engine maintenance services across multiple engine platforms, including Airbus, Boeing and light aircraft. “This agreement is testament to the quality delivered by our workforce and we’re thrilled that renowned European airlines, such as TAP Air Portugal, are confident in Abu Dhabi service providers for their MRO requirements,” he said.